Summer has arrived, and your home could probably use an awning. Awnings play a big role in protecting you from summer heat and making your decks and pool areas comfortable enough to use regularly. 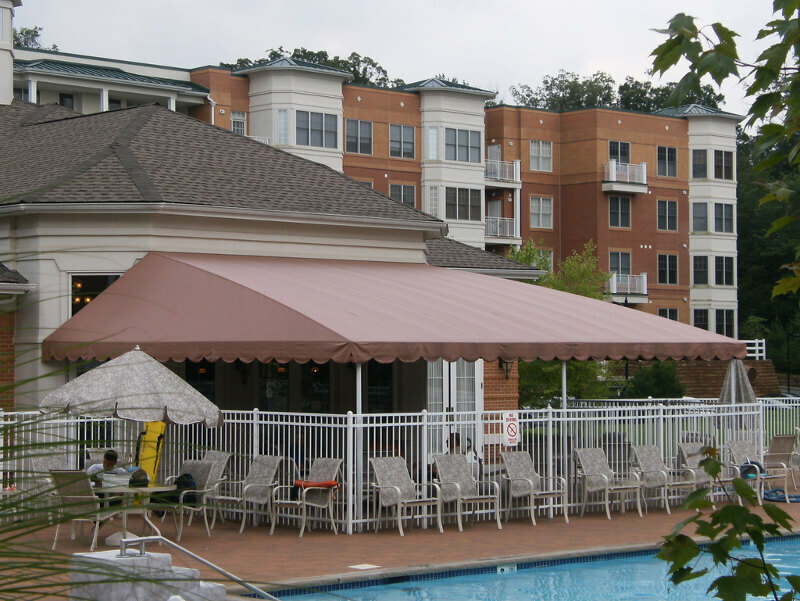 Both retractable and stationary awnings are solid choices, and they both have many positive features. Knowing exactly what each type offers can help you choose from the diverse options available. Many people prefer Retractable Awnings because they can move them easily, depending on the weather. On a hot day, you can fully open your awning for optimum shade. As the weather cools, you can leave the awning closed and enjoy the sun. Retractable awnings have many other advantages, however. First, the fully enclosed hood keeps the fabric protected and increases motor life. Retractable awnings, such as our Bella Plus, are usually more compact than stationary ones. Depending on the retractable awning you choose, you can adjust the pitch as much as you like. Most people assume retractable awnings can be closed or open only, but Window Works’ awnings have a variety of pitch options. Additionally, you can raise and lower each corner independently of the others. At Window Works, we also offer optional drop down shades for our retractable awnings. 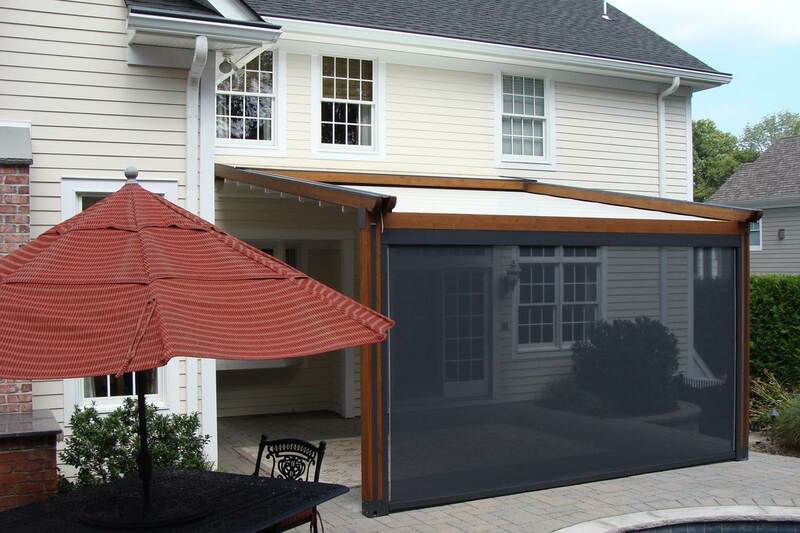 The solar screen shade provides extra coverage when the sun hits your patio or deck at a lower angle. Now you can enjoy your patio or deck longer into the evening. This also can make it easier to do close work outside, such as reading or working on a laptop. Ask about our shades if your home faces west, which generally increases the sunset’s glare. Our retractable awnings can shade up to 475 square feet, and our Teflon-coated bushings reduce noise as you raise and lower the awning. Window Works’ awnings are nylon-coated, which protects them from summer storms and other severe weather. If you’d like to protect the inside of your home as well as the outside, consider our retractable window awnings. These reduce glare and heat and protect your window glass from fading, harsh weather, and other damage. Some people don’t like the idea of moving an awning in and out every time the weather changes. For them, Window Works offers Stationary Awnings. As with our retractable models, we offer stationary window and deck and patio awnings. They are available with or without retractable shades to protect the sides and offer the same level of protection from UV rays that retractable awnings do. Our stationary awnings come in a variety of styles to fit almost any building. If you choose a fabric awning, you can select from a variety of colors and designs. Shed-style and dome awnings in 1″ and 2″ welded square aluminum are available as well. CLICK HERE FOR MORE INFORMATION ON FINDING THE PERFECT AWNING FOR YOUR HOME OR BUSINESS! It sure is nice to know that one benefit of getting a retractable awning is the simple fact that it can be easily moved depending on the weather, allowing one to get full protection or leaving it closed so that one can enjoy the view. My wife wants an awning that will not distract her view from the sunset while being protected from other elements. I will share this with her so that she can consider getting one installed in our home. It’s really neat that you can move retractable awnings according to the weather so that you’re always comfortable. That would be awesome for us because the weather in the summer here is usually hot in the day but cools off in the evening. Being able to control the amount of sun that falls on our patio would help us have more control over how hot it is out there! It’s nice that you offered retractable awnings because it becomes problematic having to remove and replace it as weather changes. Mom doesn’t have the time anymore to remove awnings when the sun gets sunny so this is a lot of help. I’d suggest she get a retractable one installed by awning repair service. I like that you can have the option of closing the retractable awning if you want to have some sun on the patio. The awning we have at our home right now is really old and trashed, so we are looking into getting a new one. I will keep this information in mind while we are looking at all our options.